SHIPPING AND HANDLING COST: The following chart displays the amount that will be added for all orders shipped in the USA. 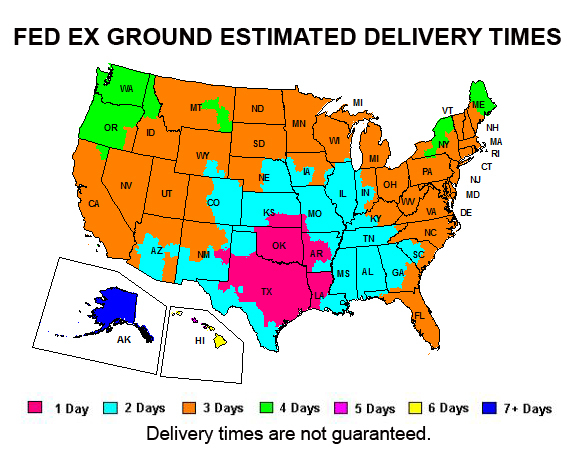 USPS Priority Mail and Fed Ex shipments include tracking and insurance. 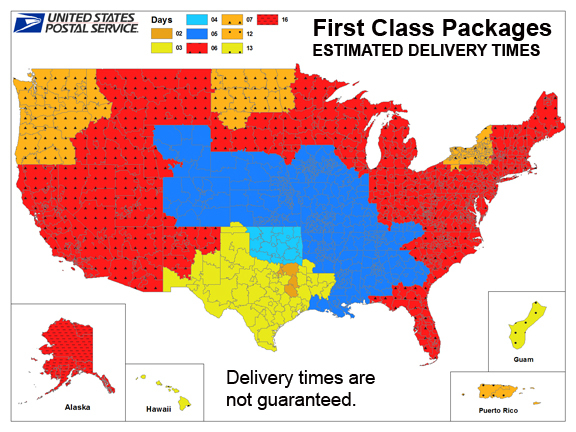 USPS First Class shipments includes tracking but no insurance. Items shipped without insurance will not be replaced if lost or damaged in the mail or stolen after the package is delivered. Insurance for USPS Priority Mail and Fed Ex shipments covers items lost or damaged in mail. It does not cover items stolen after package is delivered. Please try to ship to a location where someone is available to accept the package. If you need an order shipped to an International destination or with a guaranteed delivery date (Express) please contact us by email of phone. BACK ORDERS: All items not in stock at the time of order are placed on back order. You will be notified when there are back orders and allowed the option to ship the available items or hold the order until the back ordered items are back in stock. When back ordered items become available you will be notified before items are shipped. Additional postage may applied if order is shipped in multiple shipments. RETURNS (WHOLESALE): If you are not 100% satisfied with your purchase, you may return any item within 15 days of the date of invoice. All Sale or Discontinued items are not returnable. Items must be returned in original condition, unused and with all original tags attached. No returns are accepted without prior authorization and must be received no later than 15 days from date of invoice. We will either provide a replacement item or in-house credit. Unless an error is due to a mistake by Dog in the Closet, all original shipping charges are non-refundable. Additional shipping charges will apply to exchanges. Returns will be charged a 25% restocking fee. All Rhinestone Items are custom made when ordered and subject to a 50% restocking fee. 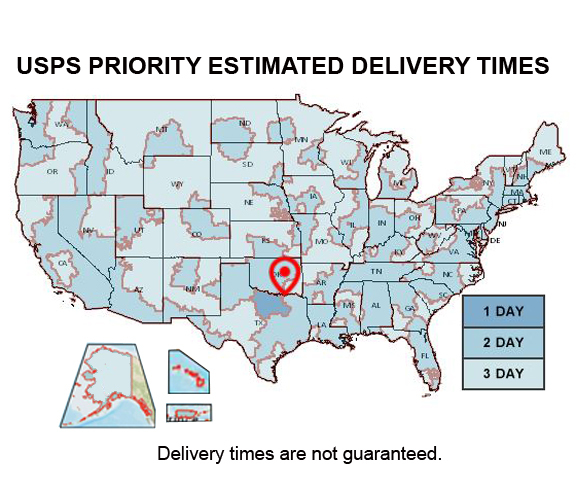 Upon authorization, returns must be shipped freight prepaid. We will not accept returns sent back C.O.D. We are not responsible for any returned packages lost in shipping. For your protection, we suggest you send your return via UPS, Fed Ex or by USPS with insurance and delivery confirmation. RETURNS (RETAIL): Dog in the Closet manufacturers all of the products sold on our website. We sell primarily to brick and mortar stores. Any returns bought through these stores should be returned to the store where the item was purchased. We also drop ship for online stores who do not stock our inventory. If you receive a package shipped by Dog in the Closet that was purchased through one of these online stores, please contact the online store where the purchase was made for their return policy. We also sell at retail on our Dog in the Closet site. If you need to return an item purchased directly from Dog in the Closet, please contact us by email (info@doginthecloset.com) or phone (972-875-3647) for our Retail Return Policies.